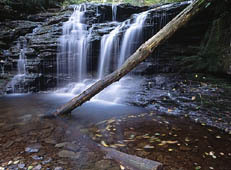 If there is one place to go to see many waterfalls in one day, Ricketts Glen is the place. 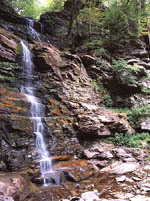 Situated 25 miles west of Wilkes Barre, Pennsylvania in the Pocono Mountains. 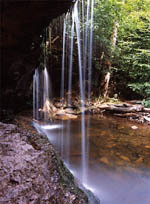 There are twenty-two waterfalls along about 4 miles of trail. 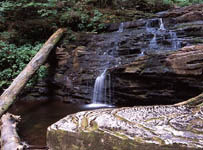 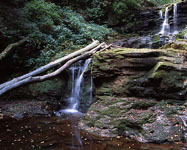 Two branches of Kitchen Creek contain 18 waterfalls and meet at Waters Meet. 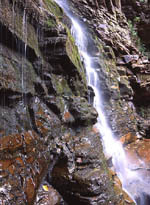 Downstream are four more waterfalls. 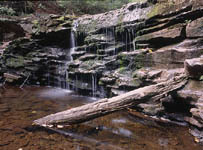 The western branch is within Ganoga Glen and the eastern branch is within Glen Leigh. 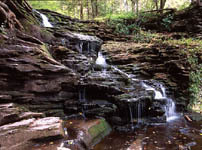 They meet and flow through Ricketts Glen. 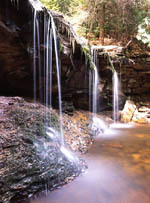 From my experience, Ganoga Glen has more scenic waterfalls though they are all worth visiting.